To maintain your brain, muscle, bone, nerves, skin, blood circulation, and immune system, your body requires a steady supply of many different raw materials—both macronutrients and micronutrients. You need large amounts of macronutrients—proteins, fats, and carbohydrates. And while you only need a small number of micronutrients—vitamins and minerals—failing to get even those small quantities virtually guarantees disease. Nearly 30 vitamins and minerals that your body cannot manufacture in sufficient amounts on its own are called "essential micronutrients." British sailors learned centuries ago that living for months without fresh fruits or vegetables—the main sources of vitamin C—caused the bleeding gums and listlessness of scurvy, a disease that often proved fatal. Even today in many low-income countries, people frequently suffer from a variety of nutrient-deficiency diseases. True vitamin and mineral deficiencies—in which the lack of a single nutrient leads directly to a specific ailment—are rare in the United States because our extensive supply of inexpensive food, and the fortification of many common foods with some key nutrients. However, eating less than optimal amounts of important vitamins, minerals, and other compounds can still contribute to a number of major illnesses, such as heart disease, type 2 diabetes, cancer, and osteoporosis. 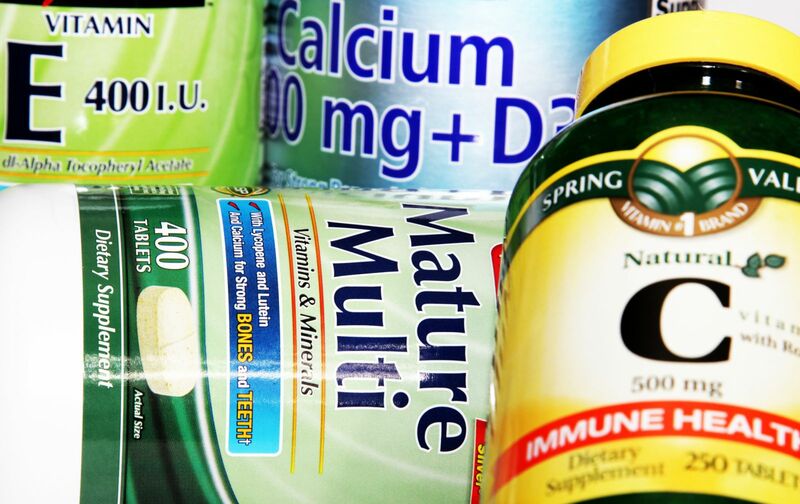 Hence, concern about "insufficiency"—a controversial topic—is a major driver of both the U.S. dietary guidelines and the mass marketing of over-the-counter supplements. So how can you make sure you're fulfilling your nutrient needs? Unfortunately, a welter of conflicting studies has led to general confusion—and all too many studies lead to new marketing claims that may or may not be upheld by later research. In fact, the best way to get vitamins and minerals is from a well-rounded diet, with plenty of fruits, vegetables, legumes, whole grains, and lean sources of protein, along with healthy fats, such as nuts and olive oil. "You should ideally try to meet your vitamin and mineral needs through your diet rather than supplements," says Dr. Howard D. Sesso, associate professor of medicine at Harvard Medical School and Medical Editor of the Special Health Report Making Sense of Vitamins and Minerals: Choosing the foods and nutrients you need to stay healthy. Five micronutrients—vitamin B6, vitamin C, vitamin E, magnesium, and zinc—play roles in maintaining immune function, and supplements containing them are often sold as immune boosters in doses that greatly exceed the recommended daily allowance. However, there is no evidence that such supplements have more benefits than merely following a healthy diet. Rather than popping pills to get these micronutrients, you're wiser to use various foods to boost your immune system.